This comprehensive, interdisciplinary collection illuminates many previously unexplored aspects of the Basilica of San Lorenzo’s history, extending from its Early Christian foundation to the modern era. Brunelleschi’s rebuilt Basilica, the center of liturgical patronage of the Medici and their grand-ducal successors until the nineteenth century, is today one of the most frequently studied churches in Florence. Modern research has tended, however, to focus on the remarkable art and architecture from ca. 1400–1600. 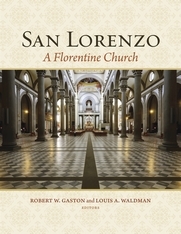 In this wide-ranging collection, scholars investigate: the urban setting of the church and its parish; San Lorenzo’s relations with other ecclesiastical institutions; the genesis of individual major buildings of the complex and their decorations; the clergy, chapels and altars; the chapter’s administration and financial structure; lay and clerical patronage; devotional furnishings, music, illuminated liturgical manuscripts, and preaching; as well as the annual or ephemeral festal practices on the site. Each contribution offers a profound exploration of its topic, wide-ranging in its chronological scope. One encounters here fresh archival research, the publication of relevant documents, and critical assessments of the historiography. 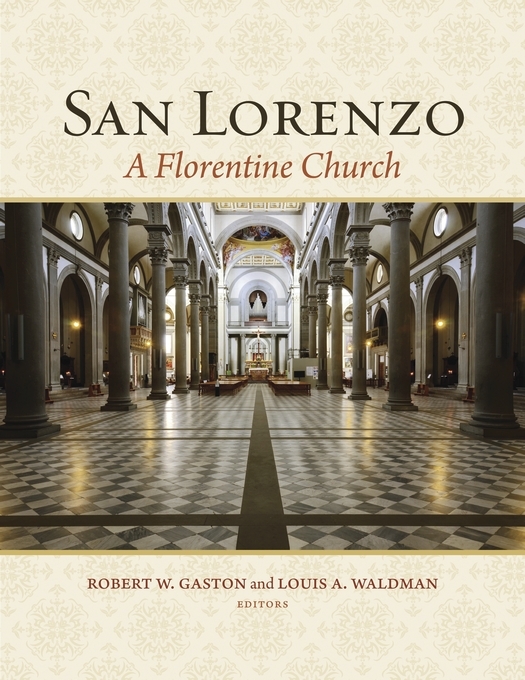 San Lorenzo is represented in this volume as a living Florentine institution, continually reshaped by complex historical forces.